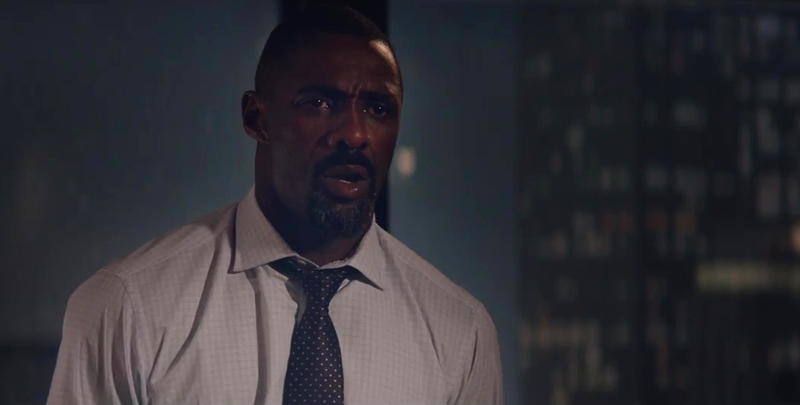 Now that The Dark Tower has come and gone without a chance in hell in me going anywhere near it (until it's out on blu-ray, eventually, probably maybe) I need a new Ogle Idris Elba Movie to fixate upon, and thankfully here comes the first trailer for Molly's Game with a whole bunch of Idris looking sharp in suits contained therein. I can make that work! Molly's Game is Aaron Sorkin's directorial debut and it technically stars Jessica Chastain (as opposed to "Idris Elba in suits" which come on, why doesn't that get top-billing) (heh, top billing) as a gambling lady of the night who talks real fast while wearing some amazing dresses and enough make-up to blot out the upcoming total eclipse. It is out on November 22nd.